Rafa Benitez has officially been sacked by Real Madrid, after serving only 7 months. MADRID- The times have passed, and the bells have tolled. Rafa Benitez has been sacked by Real Madrid. The Spanish coach had only served 7 months out of his 3-year deal with Real Madrid before being sacked this Monday. Benitez received much criticism from the media and fans while in Madrid, and ultimately, Florentino Perez was unhappy. Out of 17 games played in La Liga, Madrid had won 11, drawn 4, and lost 3, under Benitez. Although he lead decent record in the league, as well as a winning performance in the Champions League, Benitez simply wouldn’t do. Under his management, Real Madrid have already been disqualified from the Copa Del Rey, for fielding an ineligible player (Denis Cheryshev). The problems for Benitez don’t stop there. It had been rumored multiple times that Benitez’s methods and coaching style didn’t mix well with the players. A large part of the team, including their biggest stars like Cristiano Ronaldo, Isco, James Rodriguez, all fell out with Benitez, adding more tension to an already uneasy situation. Moreover, Benitez’s defensive style playing was not taken well by fans, let alone the players. The team’s form dropped, which can be seen in the 4-0 thrashing that Madrid suffered, at home to rivals Barcelona, as well as a draw this past Sunday to Valencia. 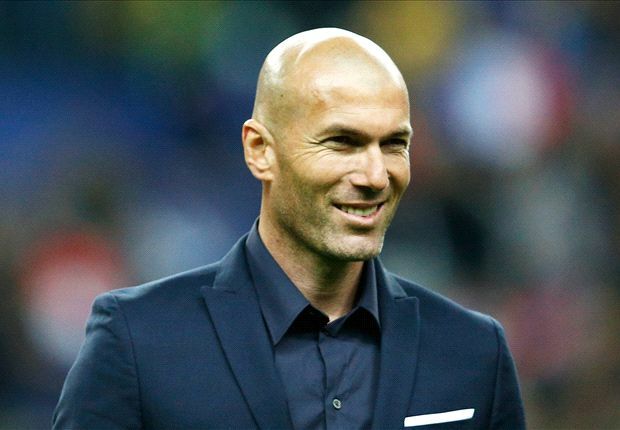 French Legend Zinedine Zidane replaced Rafa Benitez this Monday. Now, as Benitez exits, Zinedine Zidane takes his spot. The French legend spent the last 5 years of his professional career as a player at Real Madrid, with 227 appearances, and 49 goals. The former attacking midfielder had been coaching the Real Madrid Castilla team, their lower B team. Zidane will bring club experience to the table, and will be able to rally the players, unlike Benitez. Zidane’s knowledge and experience with the club will help him in making choices for the Madrid squad that cater perfectly to their strong offense. Hopefully, Zidane will be able to rally the team for a dominant second half of the season, but only time will tell. Posted in La Liga, Soccer.